Located near the Moonlight Lodge, directly on the groomed run Powder River, the Cowboy Heaven Cabins enjoy beautiful views year-round, and easy ski access to all of Big Sky Resort's terrain in the winter. 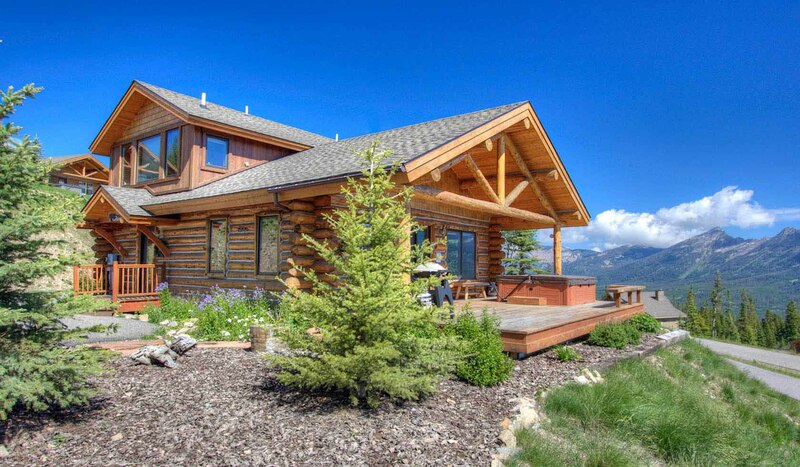 This comfortable cabin-style home is suited for a family, offering 2 bedrooms and 3 bathrooms. The first bedroom is downstairs and provides a Captain's bunk bed set and private bathroom. The second offers a king bed and a flat screen TV as well as a private bathroom with a steam shower. There is also a third shared bathroom in the home. When your day of adventure comes to an end, take a dip your private hot tub and enjoy the majestic view of Lone Mountain and the valley below. 13 Bandit Way sits just at the tree line, giving you a private place to retreat and soak in the incredible surrounding scenery. During chilly winter evenings, slip inside, gather by the fireplace, and enjoy Direct TV and WiFi. For your convenience, the cabin offers a washer and dryer.